St. David’s Center - BrainstormOverload - Small design studio. Big ideas. 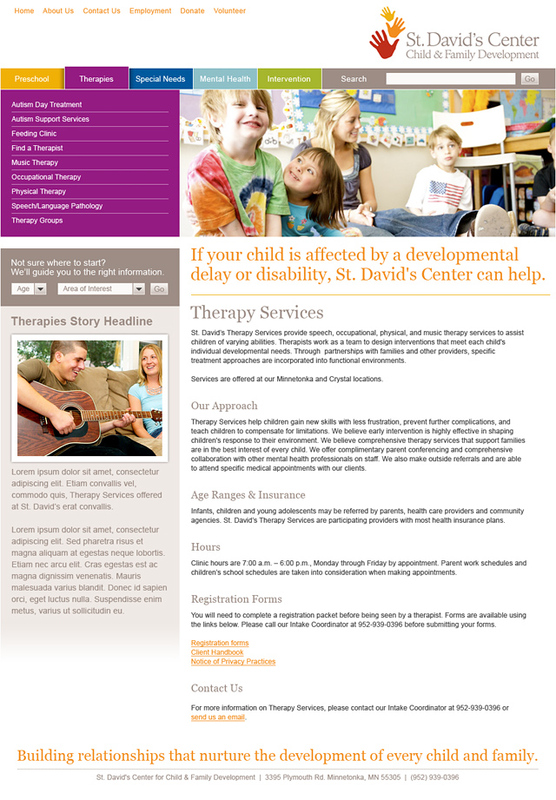 When we met with the team at St. David’s about redesigning their site they talked earnestly about bringing in both a professional photographer and writer. They had even just been through a full rebranding… but they had us at “professional photographer”. The photography by Josh Hackney really bring the design to life. 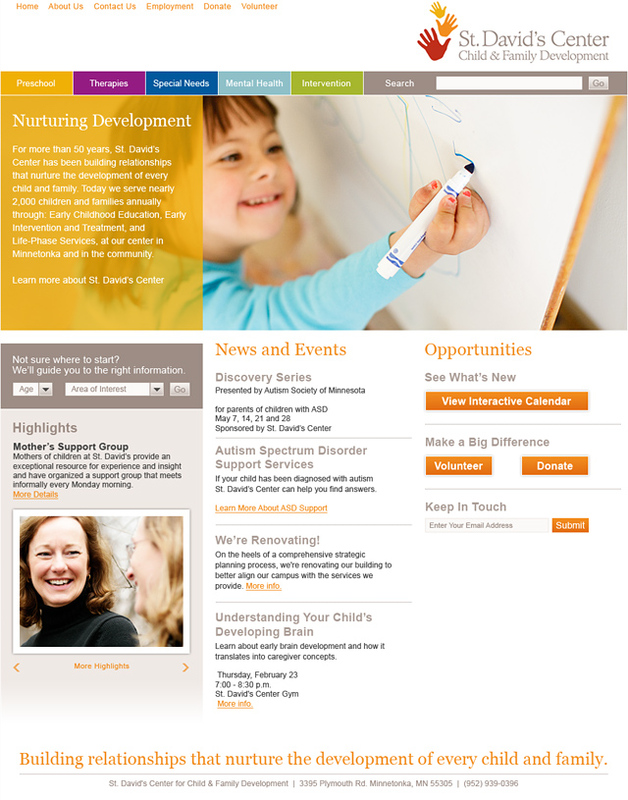 Sections are color coded to help parents quickly learn the new layout and to differentiate between the wide range of services offered. 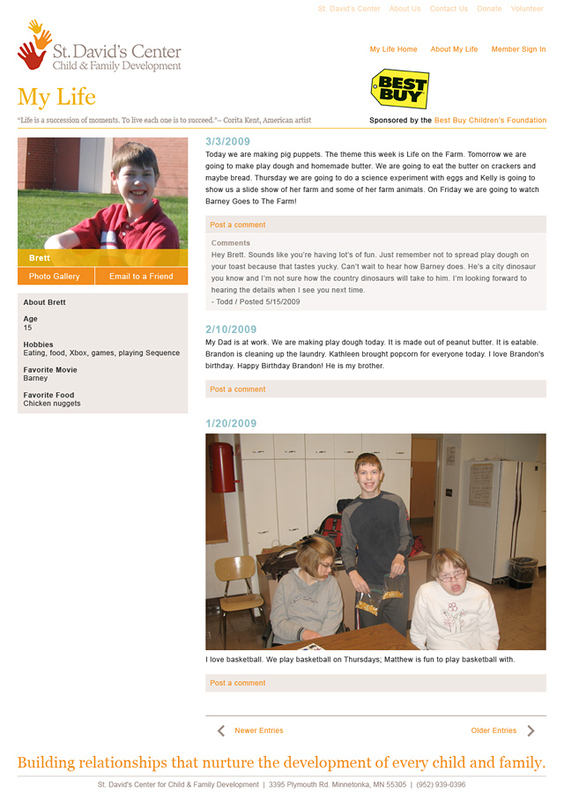 We also designed a template for a secure blog platform the kids could use to communicate with family, friends and staff. Many of these children have hurdles that are hard to imagine – it was cool to help them get in on the social networking revolution.